The Nigeria Labour Congress (NLC) has urged President Muhammadu Buhari to use his re- election to complete pending projects and, also, to initiate new ones where feasible. President of the union, Ayuba Wabba, in a statement, while congratulating Buhari, also, urged him to reflect on and re-assess his vision and strategy for the country. President Buhari was re-elected for another four years in last Saturday’s presidential election, which was marred by violence in some parts of the country. 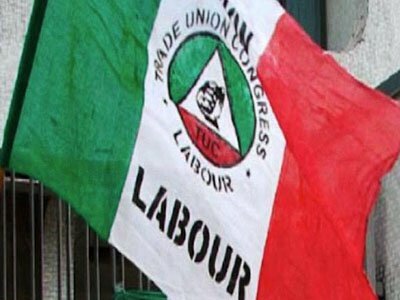 Regardless of the rejection of the result by the main opposition party, NLC said it is ready to work with Buhari. “Nigeria Labour Congress, on its part, will work with the social partners, government and organised private sector, to ensure Nigerians, especially, workers, get dividends of democracy when due. “Workers and pensioners issues, especially salaries, pensions and welfare, will continue to dominate our engagement with government,” Wabba said. While commending the Independent National Electoral Commission (INEC) for organising the elections, in spite of the initial glitches, NLC advised that it should speedily correct the lapses identified, so far, in order to conduct more credible elections in the future. NLC also congratulated other candidates for their participation and urged them to accept the outcome of the election, and adher to the peace accord they had signed to before the elections. Wabba, reminded that Buhari won in 2015 on his campaign promise to fight corruption, restore security and grow the economy. From his re-election, this may have accounted for the greater majority of the people who voted for him.